It’s that time of year again and here I am with my first festive recipe this season! I simply can’t imagine December without mince pie or two (or more like a dozen)! They are my guilty treats responsible for a roll or two added to my midriff by the time the New Year is here full of dietary resolutions. As much as I love regular mince pies, this time I decided to tinker with the pastry to see whether there is room for improvement and that resulted in my Melt In Your Mouth Almondy Mince Pies! For somebody like myself who cannot stand Christmas Cake or Pudding (I quite like the idea of flambéing the latter but that really is it! ), the love for mince pies might seem rather odd. It is and it isn’t… It’s all about the pastry you see. I’m a huge pastry fiend and the crumblier and more buttery the better. I also love almonds and use them in baking a lot so combining my love for all things pastry and almondy resulted in the best almond shortcrust pastry ever! Every year I make my own mince pies as it’s a Christmassy thing to do plus if I am to consume a lot of calories, they must be worth it! This year after my pastry recipe alterations, I could not be happier! Dare I say I absolutely nailed it! 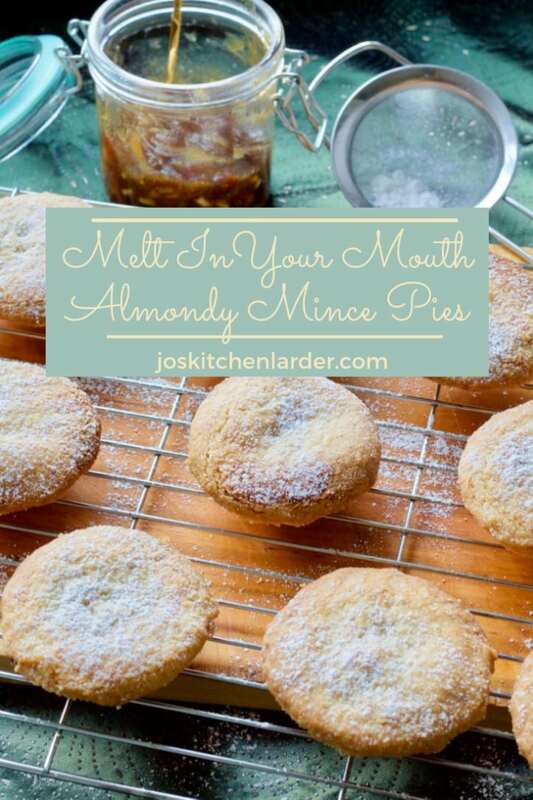 Some more butter and ground almonds later and here you go – Melt In Your Mouth Almondy Mince Pies! Make sure you use the best possible sweet mince meat with your pies! If you’ve got your own tried and tested recipe you’ve used for years – that’s even better! 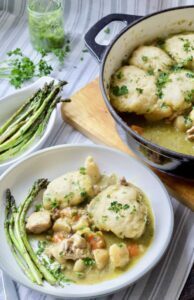 They really are a doddle to make but the little effort you will put in will be rewarded by most crumbly, buttery, slightly almondy parcels of joy you could image! Would love to hear what you think! Mince pies are perfect Christmas treats to make ahead. You can freeze them unbaked in their tray and covered tightly with clingfilm and some aluminium foil. Bake from frozen as per recipe below, allowing additional 5 minutes baking time. You can also freeze baked pies (without icing sugar). Simply put them in a plastic container with a lid. If your container is quite tall, pop your mince pies in layers separated with some baking paper. When you are ready to eat simply defrost them on the counter top and warm them up in the oven heated up to 180C/350F/Gas Mark 4 for 5 minutes. 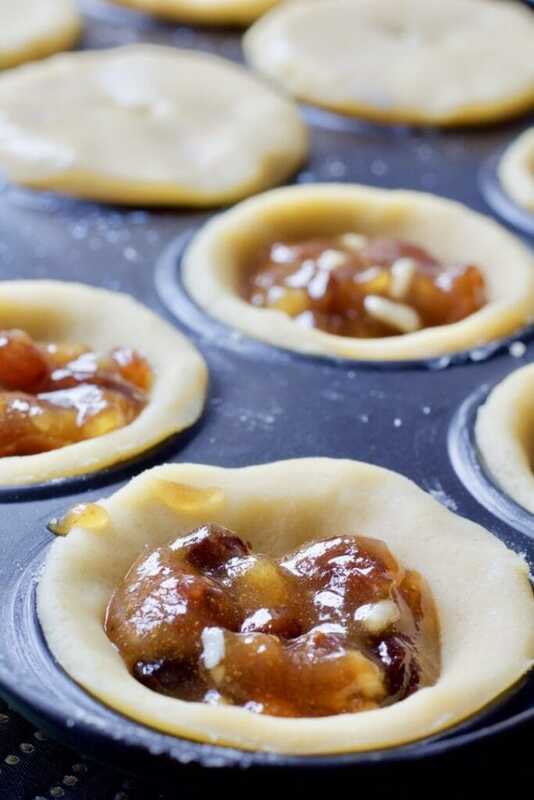 Whichever way you choose, your mince pies can be frozen for up to 3 months. These Melt In Your Mouth Almondy Mince Pies are just what they says on the tin! 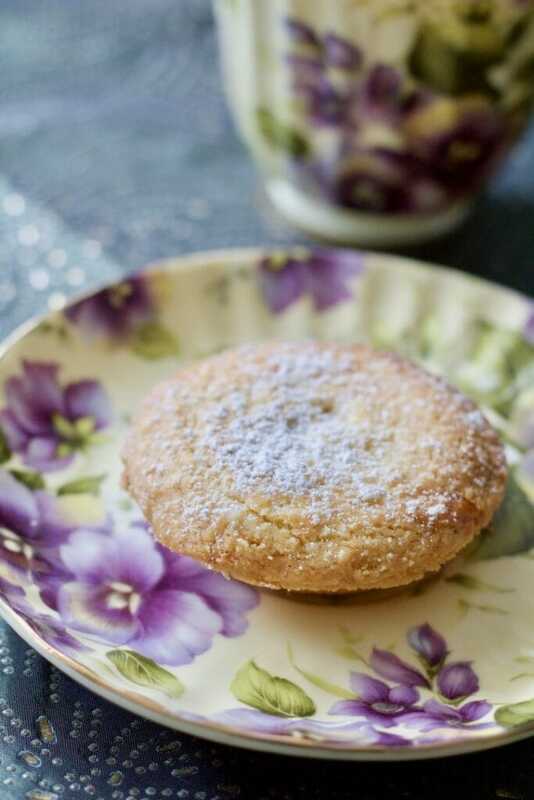 Almond shortcrust pastry makes them simply irresistible and even more festive! They are so easy to make too! Put flour, sugar, salt and ground almonds in your food processor and press pulse button few times to combine. Add cubes of chilled butter and mix until texture starts resembling breadcrumbs. Add egg yolk and keep mixing until the dough comes together almost in a ball. Take it out onto the kitchen counter and flatten into a disc, cover in cling film and chill for about 10-15 minutes. If you don't have food processor simply mix all the dry ingredients in a large bowl, add chilled, cubed butter and mix with your fingers until you get to crumbs like consistency. Add egg yolk and keep on mixing with your hands until dough starts coming together. Flatten it into a disc, cover in cling film and chill as above. Butter shallow tart tray and preheat the oven to 180C/350F/gas 4. Roll out your pastry on a floured surface and cut out 12 rounds which you then press into each hole in your tart tray. Make sure you press gently on the sides of each pastry round to get rid of any air bubbles. Cut out another 12 rounds that will serve as lids. 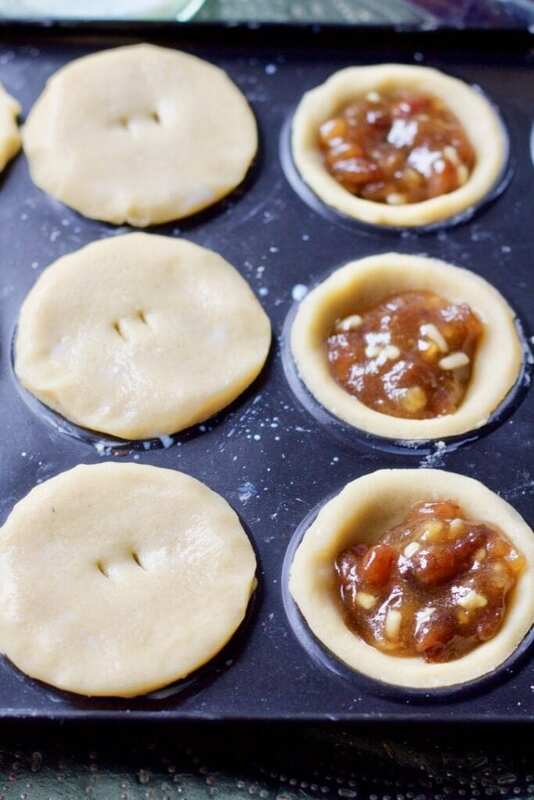 Put approx 1 heaped tsp of mince meat in the centre of each of the pastry cases and cover these with the remaining pastry rounds pressing gently on the edges to seal. Brush gently with some milk and using sharp knife make two tiny vents on the top of each pie. Let the pies cool in a tray for a few minutes which will make them easier to remove. Pop them onto a wire rack to cool completely. Serve dusted with icing sugar or however your heart desires! Nutritional information is approximate, per serving and meant as a guideline only. 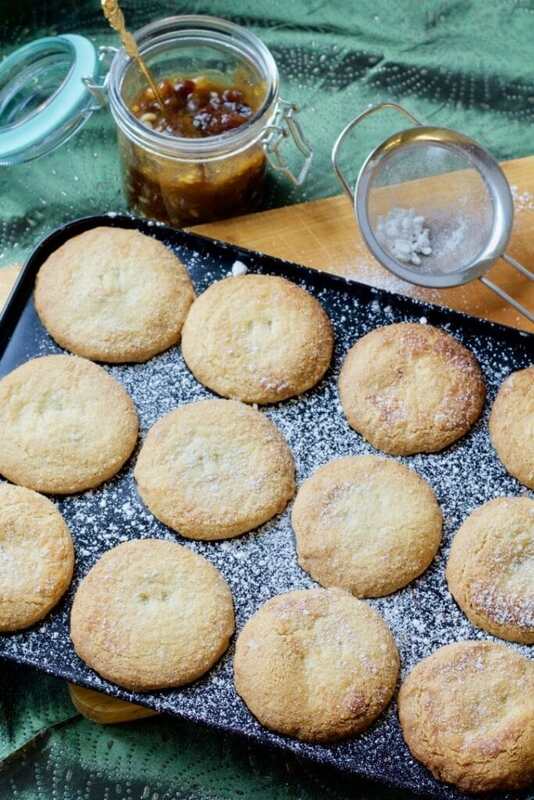 Pin Melt In Your Mouth Almondy Mince Pies For Later! The pastry look perfect and I can just imagine them melting in my mouth! I can never resist a pastry made with almonds! These look absolutely scrumptious. Worth gaining a couple of pounds for! Thank you Anna! 🙂 I love the pastry with added almonds! I am SO ready for my first mince pie of the season and I love the idea of adding almonds to the pastry. I absolutely love mince pies and although I technically make my own, I cheat and use shop bought pastry! These look so delicious and I love the addition of the almond to the pastry. I totally agree, it is about the pastry in mince pies! Adding almonds to it looks lovely, almost like frangipane, and that can’t be a bad thing! Thank you Anna! 🙂 I absolutely love the flavour ground almonds give to the pastry and like you say it does have almost frangipane like look and definitely taste! Oh wow Becca, that’s a lot of lovely Christmas bakes! I think you would enjoy these, ground almonds really make the pastry here and go so well together with mince meat! ooooh these sound very nice indeed! I adore mince pies too ad have often eaten them for breakfast over the festive period (even with clotted cream on Christmas morning! ).Yours look so melt in the mouth too -perfect.